The New Zealand Scaup are gregarious diving ducks common throughout New Zealand". Distinctive features include the eyes and the grey-blue bill. 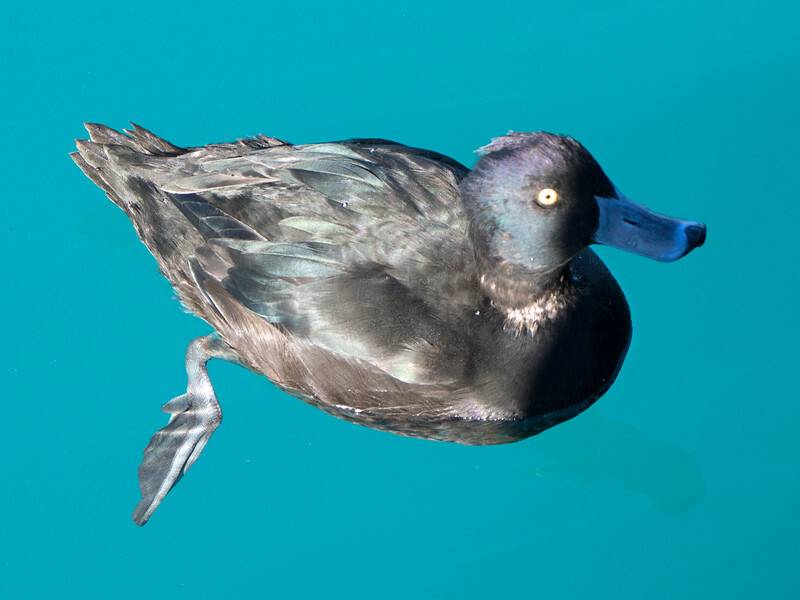 While it may look like the duck is suspended in mid-air, a close examination will show the waterline of the crystalline waters of Lake Pukaki on the South Island.